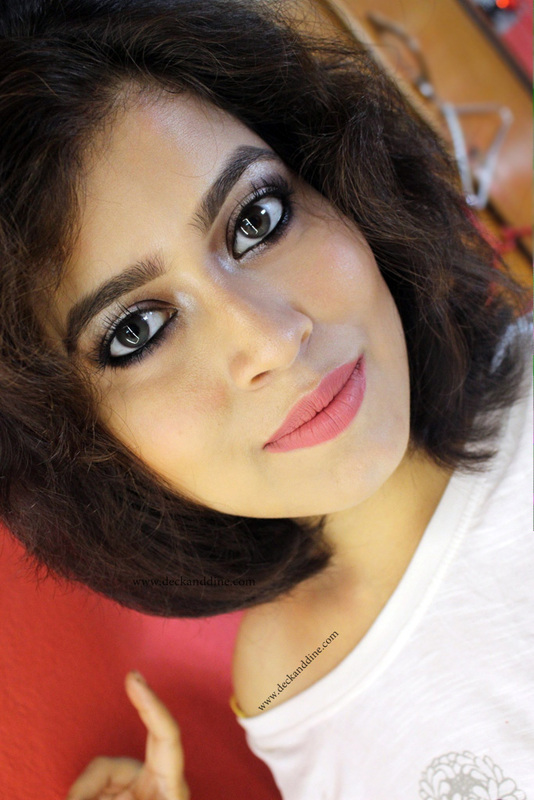 Foundation, as we all know, foundation is is one of the most important facets of makeup. It prepares the canvas on which the rest of your makeup will be applied. Today, I’ll be reviewing a foundation that has recently been launched in India. 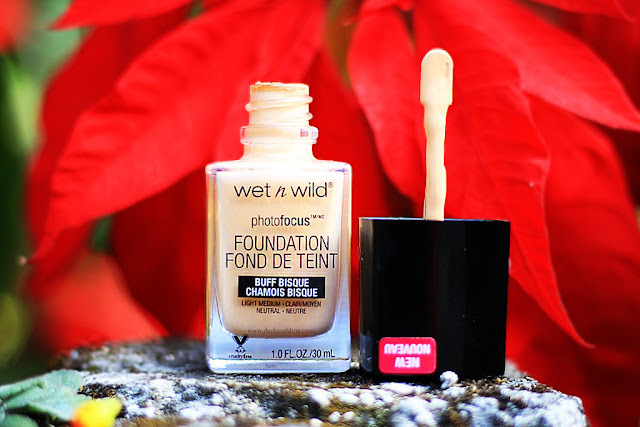 I have heard so many raved reviews of this foundation and have been planning to try this since long and finally, thanks to Nykaa, I got a chance to lay my hands on it. 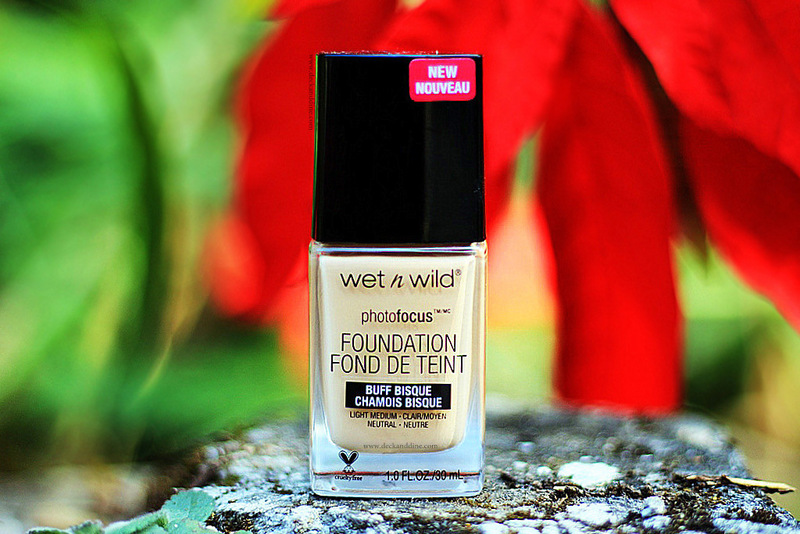 So presenting, the much talked about Wet n Wild Photo Focus Foundation. “Your skin, only better. Our new high-performing, skin-perfecting foundation underwent major road testing under seven different photo lighting conditions to deliver flawless camera-ready makeup every time. Specially made with a matte, light-diffusing complex to give your skin #nofilter perfection. A glass jar with a black cap that has a spatula attached to it. Sturdy and Travel friendly. The spatula helps to apply the product easily and directly on face. Mine is in shade Buff Bisque and it suits me just fine; exactly my skin, only better. I am NC20 in MAC and I love Buff Bisque on myself. Though there are 20 shades in the range, but for the time being there are only 5 shades available in Nykaa. Texture is very smooth and easy to blend. The finish is absolutely matte, sets into the matt finish almost instantly, so a good prepped skin underneath the foundation is essential. Otherwise this might go streaky, might look unblended and will just sit on top of your skin instead if melding with it. So a clean, well moisturized skin is indispensable. 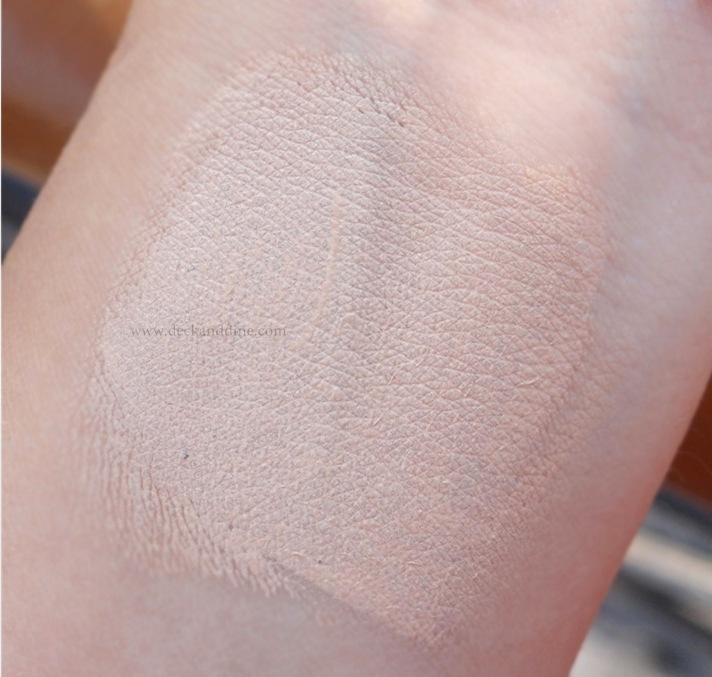 This foundation has a light to medium coverage and is buildable. I can totally build this foundation to get medium-full coverage. You don’t need a lot for evening out skin nicely, covering mild freckles, discolorations, blotchiness and red marks left by pimples. If you have major scars or marks, you need a concealer with this. Staying power is 10+ hours, which is great. Light to medium coverage and is buildable. Matte finish, great for oily-combination skin. Reveals a perfect and naturally glowing complexion. Covers redness and spots, making skin look rather smooth. Available only at Nykaa. Though you can buy through Instagram sellers. I wish it came with a pump dispenser instead of the spatula. Has a chemically smell so if you are very sensitive to smells, you may not like it. I am not someone who loves heavy coverage foundation, I look for something which feels and looks light. The feather-light finish easily blends into the skin covering minor skin imprecations and evening out skin tone. I am not really fond of strong "matte finishes, but I somehow like it. I am using this pretty often now and really loving it. My face feels smooth and naturally beautiful all day. Happy with my buy. I was in a double mind before buying this product, firstly I wasn’t sure about the shade, secondly I was apprehensive about the quality, but I am very glad I took the risk. For a Rs.599 foundation- it is worth you taking the risk too! That is my before and after picture. 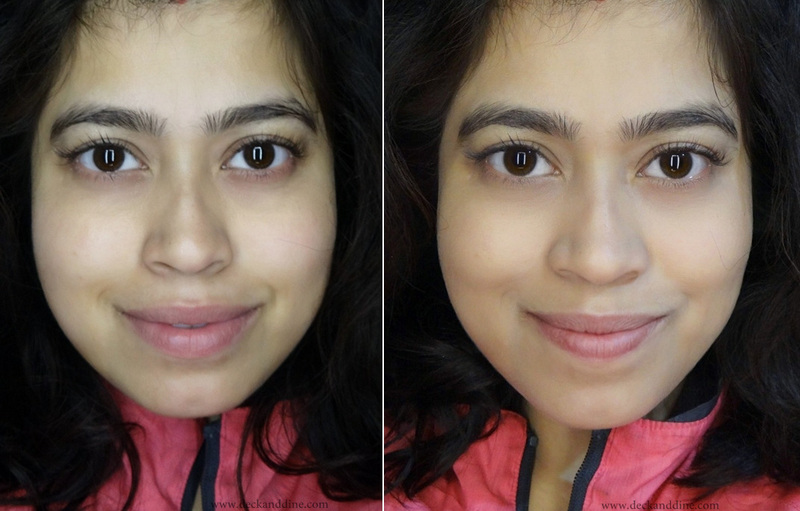 The left is my bare face and the right one with just the foundation and nothing else. Hope the difference is visible. And kindly ignore the weird expressions. 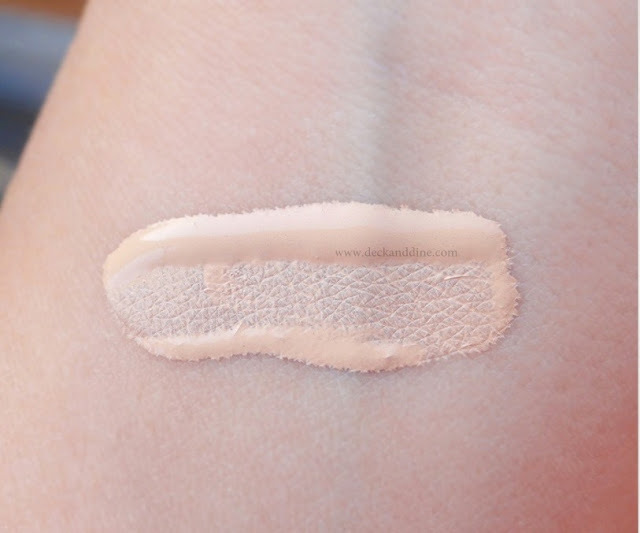 If you are looking for a daily foundation which gives an amazing matte finish and also is easy on pocket, then you can surely give this a try. You can easily achieve an even and comfortable coverage with this foundation, just don’t forget to moisturize and prime, or at least moisturize your face before. Oily skin beauties, you are going to love this to bits. Wow! It definitely shows evening out of the skin tone. I might have to look into this at the local drug store. I definitely see how well it covers once I saw your face comparisons. It looks great, and so do you! I love finding great drugstore brands. Finding reliable drugstore brands is always so great! 10 hour wear is pretty impressive!!! I will have to give this a try, at the price why not! This looks really good on you. I'm not a fan for my skin and the fragrance is a big part of it. I really love this foundation, in spite of the pretty horrible chemical smell. I recently tried another brand that I hated and have to get another bottle of this one. hmm, I had trouble with this foundation....and everyone raves about it so i bet it was the primer I used. I had no idea they had 20 shades!! I thought it was just the five in stores. That is kind of a strange applicator! My friend adores this foundation! I love how natural it looks on you! It's super subtle, but you can totally see the difference. That has a really nice finish! Great review. I don’t like heavy foundations and would be willing to try this. It looks great on you! It's very natural looking.